The Library's most versatile meeting space with flexible setup options for unlimited possibilities. Helzberg is also aggressively styled with contemporary and clean lines for an energetic atmosphere. 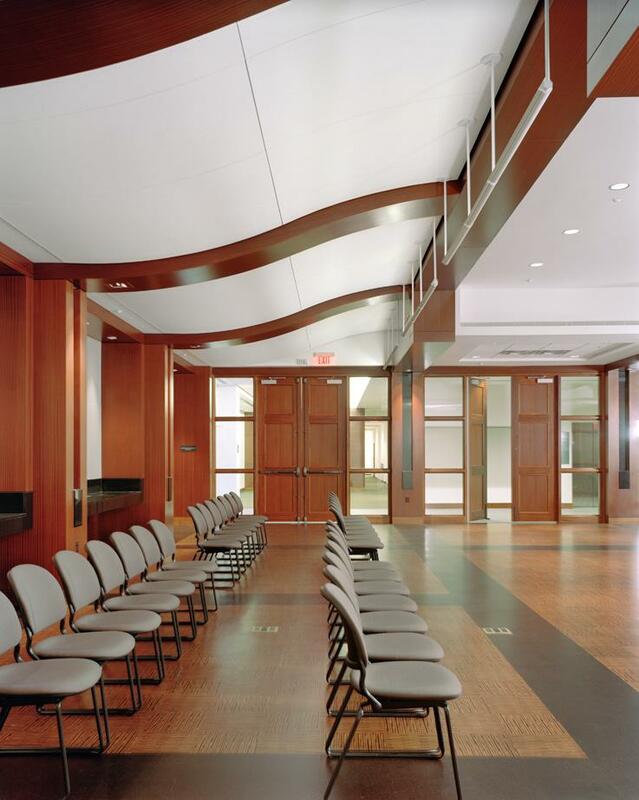 Performance quality acoustics using cork flooring and specially designed ceiling elements. Built-in audio-visual system that includes a large presentation screen, data/video projector, lapel and handheld microphones, and dimmable lighting. Adjacent Rooftop Terrace may be added to any function for additional $500 charge. Gladys Feld Helzberg was the wife of the late Barnett C. Helzberg, Sr, of Helzberg Diamonds. Helzberg jewelry store was founded in 1915 by the late Morris Helzberg, in Kansas City, Kan., and expanded to a regional market by Barnett C. Helzberg, Sr. Gladys was an active member of the Kansas City Chapter of the Association for Women in Communications and one of the founders of Veterans’ Voices. The Gladys Feld Helzberg Scholarship Fund was established in 1960 for talented journalism students and is administered by the University of Kansas endowment fund. She was also the founder of the Greater Kansas City chapter of the Brandeis Women's Committee.